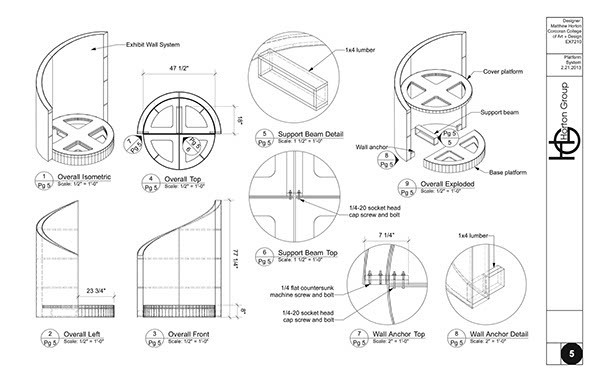 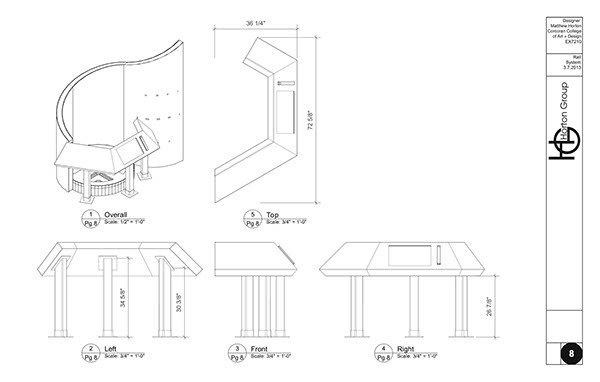 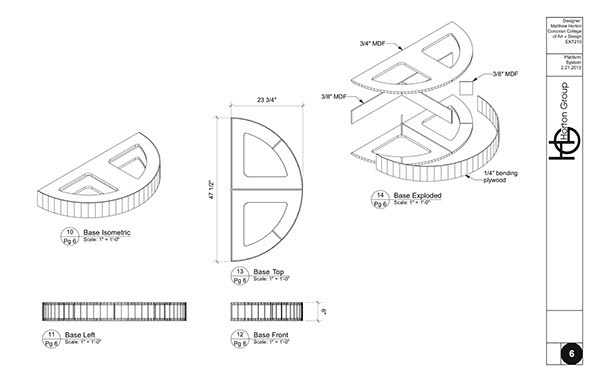 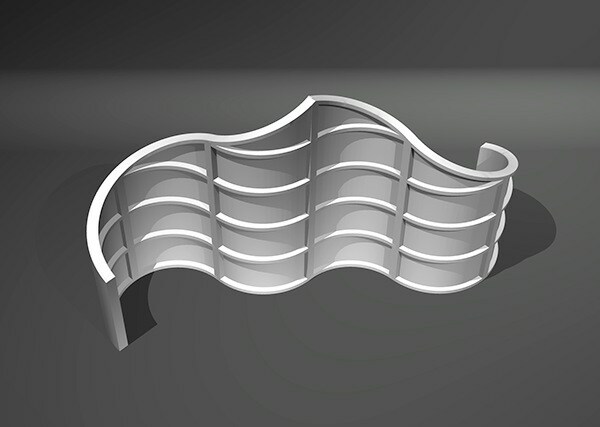 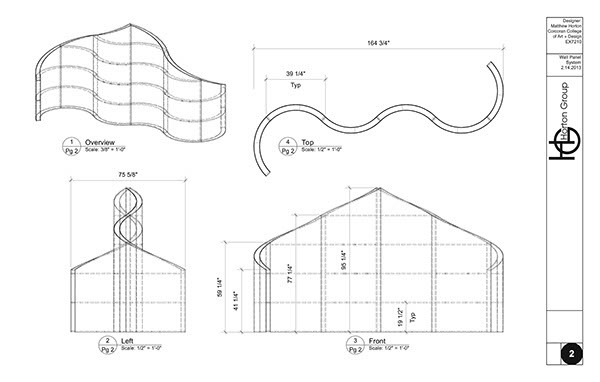 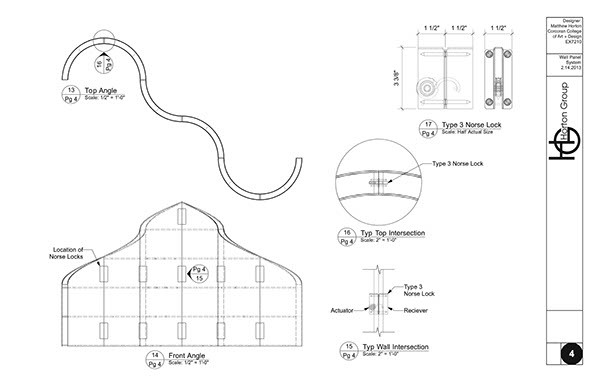 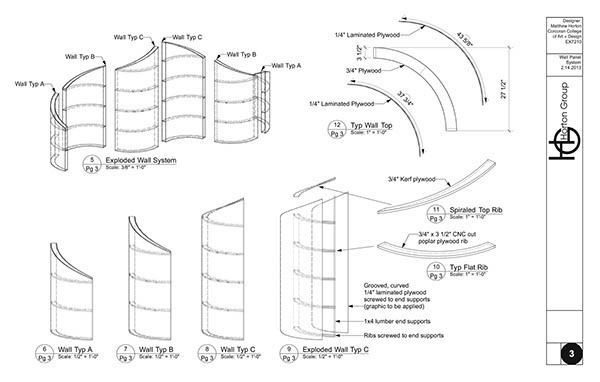 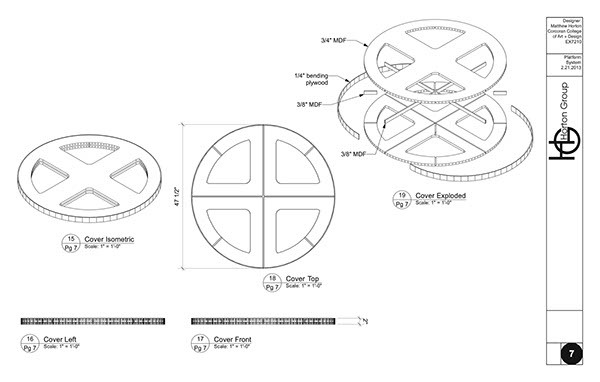 A project for a class in exhibition construction and detailing, this is an original design and CAD detailing for a traveling exhibit system consisting of a curved wall, platform, and media rail. 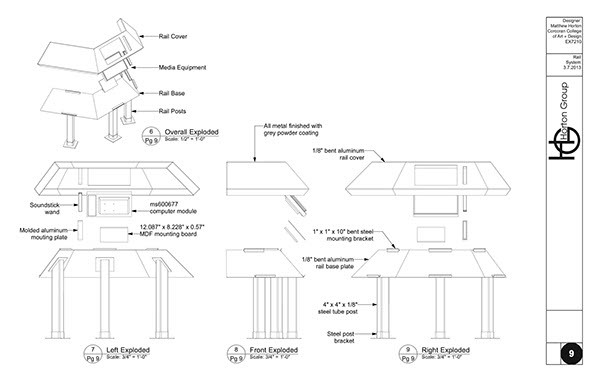 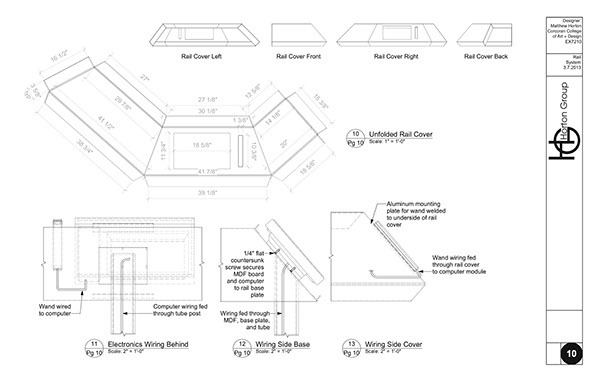 Every aspect of the exhibit's construction is meticulously documented, from hardware to dimensioning. 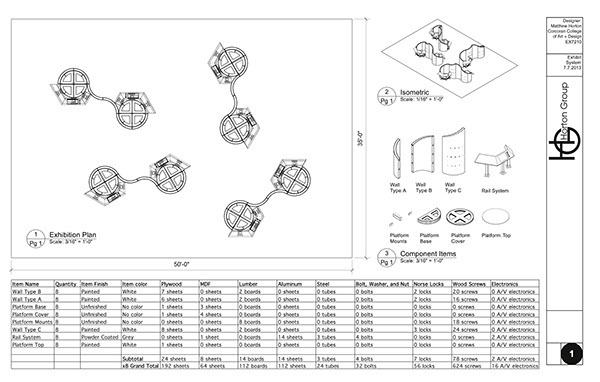 The exhibition is designed as a modular system that can be configured for a wide range of content and context. 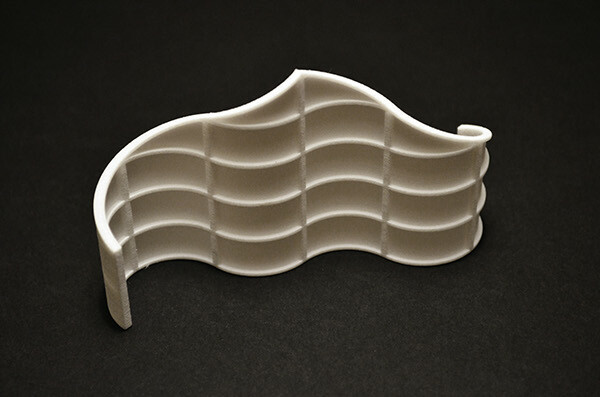 I produced a prototype of the unique curved exhibit wall using 3D printing technology.